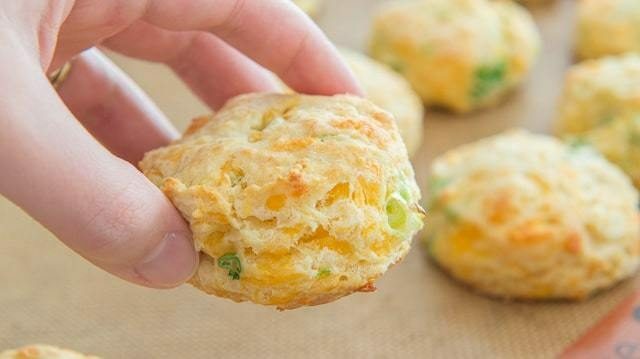 Cheddar Biscuits - Only Takes 20 Minutes to Make These from Scratch! 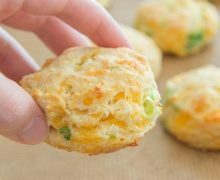 These all butter (no shortening) Cheddar Biscuits are soft, flaky, and tender. The flavor is rich with tangy buttermilk, sharp cheddar, and green onion. Crisp on the edges and fluffy in the middle. That’s my ideal biscuit. These are exactly that, but then you add gooey, sharp cheddar cheese and a little bit of green onion to make the flavor even better. This biscuit flavor combination is one I’ve been making for years, and it’s good enough to eat on its own, but can also compliment nearly any dinner spread. 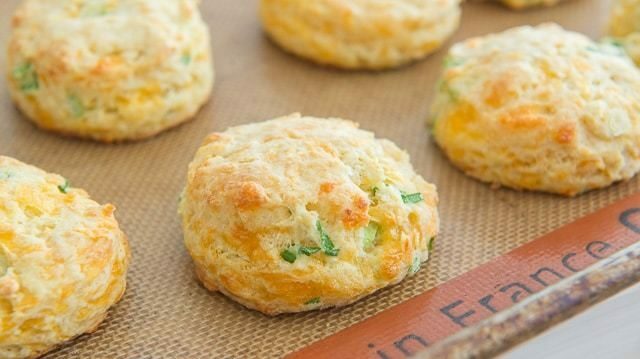 Biscuits have a bit of a difficult reputation, maybe not as bad as Pie Crust, but they’re a lot easier to pull off than people think. The most important thing to remember is to use a light hand to keep yourself from overworking the dough. Because biscuits puff up quite a bit in the oven, they’re very forgiving. They can go into the oven looking a bit shaggy, but they end up baking into flaky layers that give biscuits their visual appeal. As you can see in the how-to video above, these biscuits are easy to make. And quick too! It only takes 10 minutes to make the dough, and another 10 minutes to bake in the oven. You can also freeze unbaked biscuits for a later dinner, then simply bake them any night you’d like. 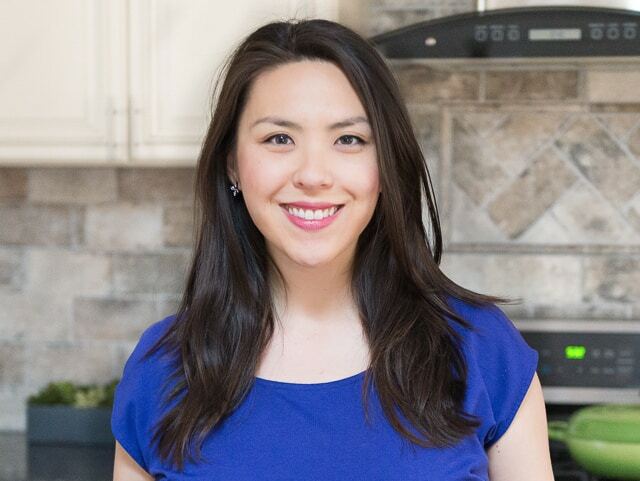 Garlic Knots, English Style Scones, and Pumpkin Muffins are some of my other favorite recipes to bake. Enjoy! 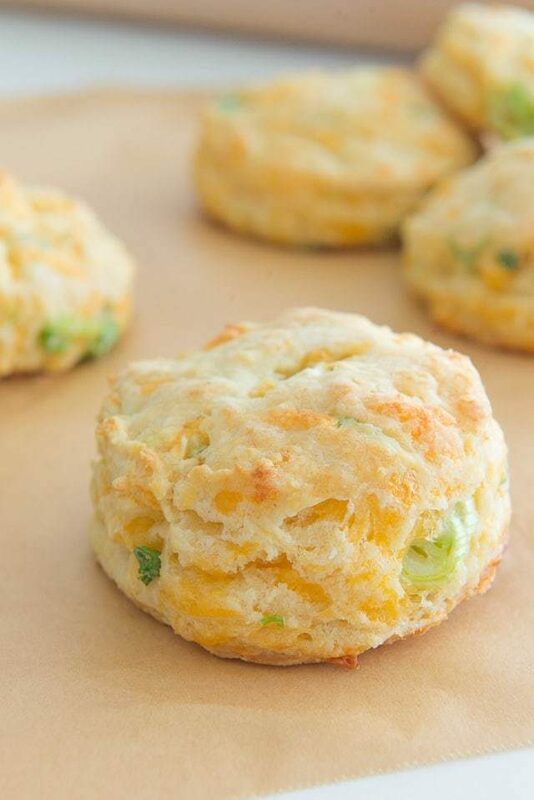 These all-butter (no shortening) Cheddar Biscuits are soft, flaky, and tender. The flavor is so comforting, with tangy buttermilk, sharp cheddar, and the bite of green onion. Whisk to combine the flour, baking powder, baking soda, and salt. Add the cubed butter, and break it down with your fingertips, working it into the dry ingredients to coat the little butter pieces with flour (see video if needed). When the butter has been smushed down into large flakes, stir in the cheddar and scallions. Pour in the buttermilk, and toss everything around, thinking of moistening the dough and distributing the liquid instead of working or overstirring the dough. The dough should be relatively clumped together. Flour your countertop lightly and gently pat and roll the dough out into a circle or rectangle. Use a biscuit cutter to cut out little biscuits (or, just cut it up into square pieces). Place the biscuits on a parchment or silicone mat-lined baking sheet and bake for 10 minutes. Enjoy!!! You can freeze these and bake them from a frozen state. Just add 3-5 minutes to the baking time. Post updated in April 2019. Originally published August 2011. I just made these two nights ago. I doubled the recipe to share them with a few coworkers. They turned out great, except I may have overworked the dough slightly, but they were still tasty! I also brushed the tops with melted butter and garlic salt. Mmm mmm! That’s great, Emily! So happy to hear. 6 oz. of flour is 3/4 cup. The recipe says both 6oz and 1.25 cups. I went with the 1.25 cups. Then, basted them with butter when they came out. Delicious! Hi Kelly, I believe you’re mixing up dry and wet measurements here. 5 ounces is the standard for dry measurement of flour, so the 6 oz is about 1.25 cups (technically it’d be 6.25oz). Glad you went with the 1.25 cups and that they came out well. Happy baking!! Can self-rising flour be used? Hi Carol, I don’t have experience baking with self-rising flour, as I always add leavenings separately. Sorry I can’t advise! Thank you, Joanne. I will try it and let you know how they turn out. At least we will know if it works. Can you substitute regular milk instead of buttermilk and get good biscuits ? It is truly not the same, but I think it’d still be good. Add a tablespoon of vinegar to the milk to mimic the acidity.